Bangladesh, with its rural and agro-based economy, has always been plagued with problems such as malnutrition, high levels of unemployment, and poverty. With the objective of alleviating the protein deficiency of the people and solving the unemployment problem to some extent, in the last 30 years, private investors have taken up the mantle to address these issues by setting up commercial livestock, fisheries, and poultry farms. The Feed Mill manufacturing industry has grown consequently to provide backward linkage support to the three industries, especially poultry farms which consume the biggest share of the feed industrially produced. With a current turnover of BDT 10,000 Crore and a growth rate of 10% per year, the organized and unorganized feed production industry has a great prospect withstanding some challenges as well, such as: increasing price in raw materials, adulteration of raw materials, lack of quality control in unorganized sector, high import duty of vaccines. Due to high capital intensiveness, feed production is not coping up with the increasing demand and attaining economies of scale has been primary challenge for the industry players. 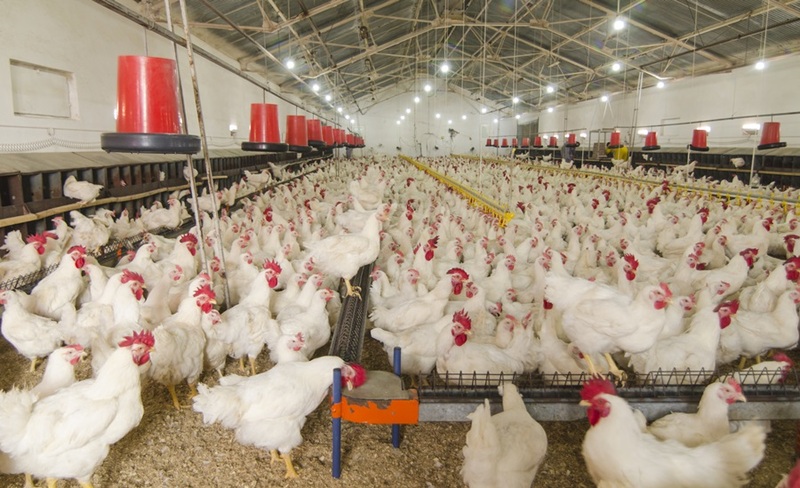 The major demand driver of the feed industry is the poultry industry and the feed milling industry works as the prime backward linkage industry for these industries. Based on internal estimates, current demand for poultry feed has been estimated to be 5.08 Million MT/year (based on CAGR 10% growth). As the market size and demand for feed are increasing, the demand for the major raw materials, such as: corn, maize, Soy-bean, etc. is also expected to rise. However, since Bangladesh is not self-sufficient in producing these raw materials, it has to import major portions of them from neighboring country India; and rising price of Corn and Soy-bean, due to seasonal variation, creates continuous pressure on the market. Poultry farms in BD are situated mainly around Dhaka, Chittagong, and Khulna Division which leads to a higher demand for feed in those areas. Among three types of dairies: Rural, Pocket, and Metro, demand for feed is highest in the last category because of the farmers’ comparative affordability and consciousness of nutrition. Demand for livestock feed stays similar throughout the year with a special pull during later in the year due to Eid-ul-Adha festivals. Dhaka, Chittagong, and Khulna have the highest percentage (27.57%, 20.27%, 18.58%) of inland water fish production and consequently have the highest demand for fish feed among regions of BD. Similar to the demand for poultry feed, demand for fisheries feed decreases around 30% during Nov-Feb and increases during Jul-Sep by 50%, as well.